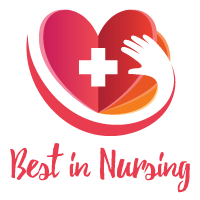 Brenda S. Salyer, Registered Nurse at Carolinas HealthCare System has been recognized as a “Leader in Nursing” among “America’s Best Nurses” for 2017. She will be sharing her knowledge and expertise in Nursing and Neurology. In the industry since 2012, Brenda offers valuable insight in her role as a Registered Nurse at Carolinas HealthCare System. As one of the leading healthcare organizations in the Southeast, Carolinas HealthCare System serves as a not-for-profit system comprised of operating hospitals, laboratories, nursing homes, pharmacies, freestanding emergency departments, outpatient, rehabilitation, and urgent care centers and medical practices at over nine hundred locations. As a Registered Nurse at Carolinas HealthCare System, Brenda’s day-to-day responsibilities include clinical treatment of patients suffering from stroke, traumatic brain injury, and seizure disorders. 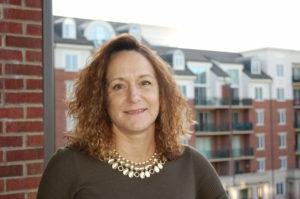 In 1992, Brenda earned a Masters of Business Administration from Rollins College; in 2011 Brenda earned a Bachelor of Science in Nursing from Queens University of Charlotte. To further develop her professional career, Brenda maintains affiliation with Sigma Theta Tau Nursing Honor Society and the American Association of Neuroscience Nurses. In her free time, she enjoys reading, fitness, and traveling. Considering the future, Brenda hopes for continual growth in research and exploring all the possible treatment options for a Registered Nurse today. Carolinas HealthCare System is one of the leading healthcare organizations in the Southeast and one of the most comprehensive, not-for-profit systems in the country. Carolinas HealthCare System includes more than 7,600 licensed beds, employs nearly 60,000 people and accounts for almost 12 million patient interactions each year. The main focus at Carolinas HealthCare System is to improve health, elevate hope and advance healing – for all. Affiliating with Carolinas HealthCare System enables like-minded healthcare organizations to share in the knowledge, best practices and resources of a vast healthcare network while maintaining local autonomy.